Note – Uber has been moving away from sign up bonuses and toward guarantees, which are very different from sign up bonuses. Click here to learn more about Uber guarantees. Some markets still offer bonuses (below) but most markets likely have shifted to guarantees. I’ve worked all sorts of different jobs in my life, but it wasn’t until I started driving for Uber and Lyft that I got my first ever sign-up bonus. 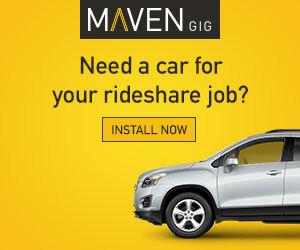 I always thought that sign-up bonuses were reserved for executives or athletes, but apparently rideshare drivers can get them too (although, of course, no where near the same amounts as athletes or execs!). 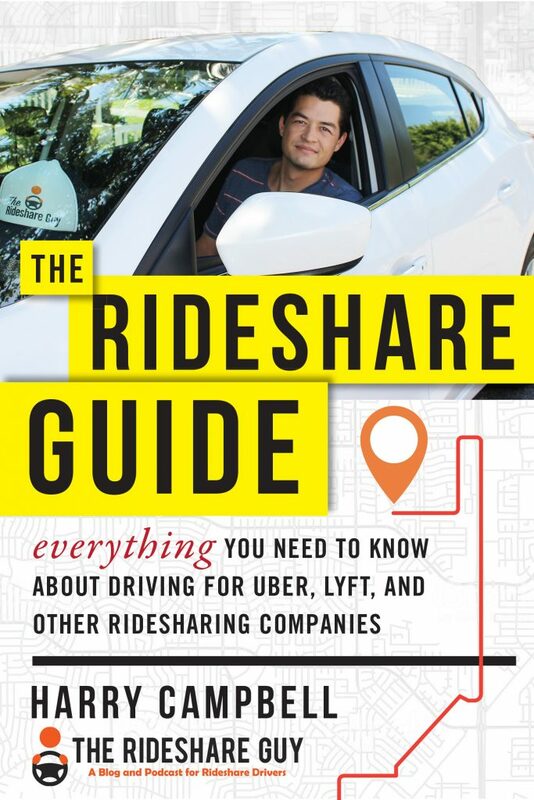 Rideshare sign-up bonuses can fluctuate wildly by market and time of year, but it’s not unheard of for a brand new driver to be offered $500 just to sign up and do 75 rides (on top of the pay you get for doing the rides). [Note – many of these bonuses have shifted to guarantees]. I’ve always found it odd that these companies will pay drivers so much money to get started, but the hourly pay is only in the $10-$20/hr range. It’s sort of like hiring someone to work at Hot Topic for the summer and giving them a huge sign-up bonus. Huh? But since these companies are so focused on growth, sign-up bonuses are one of the main tools they have to incentivize prospective drivers. When I first started my site in 2014, Uber and Lyft were both offering sign-up bonuses up to $500 and I figured there was no way that was sustainable. I was wrong, though, and in the two and a half years since my first post, sign-up bonuses have actually increased and become one of the most popular recruiting tools for gig economy companies. So How Do Uber Sign-Up Bonuses Work? I’m not even in San Diego but I get e-mails all the time from them asking me to refer more drivers. If you are a prospective driver and you go straight to Uber’s website and sign up to drive, you would not be eligible for a sign-up bonus (see retroactive referrals below if you’re within 15 days of activation). In order to be eligible for an Uber sign-up bonus, a new driver must sign up with an existing driver’s referral code. You can see that in the ‘Copy code here’ section, they list my code as ‘3e3dg‘. So now that you know how to find your code, you can give it to prospective drivers right? Somewhat. You can give your code to new drivers, but in my experience, it’s pretty easy to misspell these codes and, if that happens, you could end up not getting credit for a referral. So now I have a link (https://partners.uber.com/i/3e3dg) with my code embedded into it that I can send directly to prospective drivers. I actually take it one step further and create a short-link (using the WordPress plugin Pretty Link) so that I can share a link that’s easier to remember with prospective drivers. 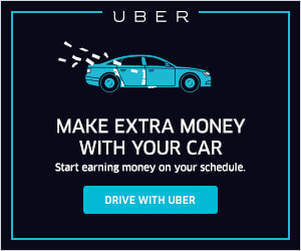 In many markets Uber is moving toward guaranteed earnings, which means you’re guaranteed to earn a certain amount once you’ve completed the required number of trips. Learn more here. For Uber, this is how the process might be in your city: sign up with this referral code, then get an email from Uber saying you’re guaranteed to earn $500 once you’ve completed 100 rides. This means no matter what, once you’ve given 100 rides, you will make $500. You could either make $500 by giving those 100 rides, or you could make $300 giving 100 rides and Uber gives you an additional $200 to get you up to $500. If you don’t give the required number of rides, you won’t get the guaranteed bonus. If you make more than $500 giving 100 rides, Uber won’t give you any extra money. How Much is Your Uber Sign-up Bonus? Pretty cool, huh? This page has a snazzy picture of the referring driver’s face (smart), the bonus amount ($700!) and the code is embedded into the URL. The only problem with this page is that the $700 bonus amount isn’t applicable to everyone. Since I’m a registered Uber driver in Los Angeles, my Uber referral link shows the current sign-up bonus in LA (which is $700 right now) to anyone who clicks on this link. If you were to click on another driver’s link in a different city, you’d see a different amount. So which amount is correct? It turns out that Uber determines the sign-up bonus amounts based solely off the new driver’s sign-up city. So if you sign up using my link but select San Diego as your home city, you’d actually still see the $700 on my landing page and be able to proceed with your application but you’d only receive $550 instead of $700. So if you’re a new driver, all that matters to you is that you use someone’s driver referral code. Some marketers try to lure new drivers in by saying things like you’ll get more by using my code, but you’ll get the same bonus regardless of whose code you use. You may see different amounts advertised online, but those won’t apply to you unless that driver is registered in the same city as you. Referral amounts and minimum trip requirements may vary from city to city. Uber may change any incentive amount or incentive criteria at its sole discretion. I’ve always hated this setup personally because people find my site through search, find value in the content and then want to reward me by signing up using my link. So when they hit my landing page and see $700, they get really excited. But since most cities are lower than that, I get angry e-mails once in a while saying that I tried to trick them even though I have no control over the amount that’s shown on that landing page. I actually try to combat this by noting on all of my sign-up links that it is ‘up to $1,000’ or reminding drivers to check with Uber for the latest bonus information. However, you can imagine most people don’t do that and Uber support doesn’t always provide much help. So basically you have a lot of drivers who sign up expecting one number ($700) and receiving less, which is a pretty terrible first impression for Uber. Some of them get mad at me for ‘trying to trick them’ but once I explain how it all works and blame Uber, they get mad at Uber. Probably just another one of the reasons why so many drivers end up quitting. So, How Much is Your Uber Sign-up Bonus? I am thinking about signing up to drive with Uber. Can you please tell me what the sign-up bonus is for [insert your city here]? Unfortunately, there’s no public directory of sign-up bonuses and the amounts vary wildly by city, so the only way to know for sure is to contact Uber. Here are some other ways to contact Uber. In the past, Uber would give out bonuses after just one trip, but nowadays, they usually require 50-100 trips within 30 days of activation in order to qualify. Again though, the terms vary by city and the only way to find out the terms in your city is to submit an inquiry through the Help section of the driver app or online here. I recently signed up to drive with Uber. Can you please tell me how many rides I need to do in order to get my sign-up bonus and how many days I have to do them? I suggest confirming the bonus amount and terms in separate e-mails as we all know how tough it can be to get decent answers out of Uber customer support. But once you have the sign-up bonus amount and terms in writing, there’s really usually no way you can get screwed out of the bonus. A lot of drivers ask me about their activation date, and all that means is the day you’re eligible to go online and drive. Sometimes Uber will send you a text to let you know you’ve been activated, sometimes it will be an e-mail, and other times you won’t get any notice at all. Most new drivers get approved within a week, so if your application is taking any longer than that, I’d advise you reach out to Uber and see what the hold up is. You can also ask about your activation date to ensure that you get the required number of rides done in time to get your bonus. One nice thing about Uber’s referral process is that they do allow for retroactive referrals. So if you signed up and forgot to enter a code, you can contact Uber and get a code added as long as you’re within 15 days of activation. Usually Uber will respond to these requests within a few hours, but if you don’t receive a response within a few hours, you can submit your request through the app. Go to Account-> Help-> Payments and Rewards-> Driver Referrals -> Report a missing driver referral. Feel free to contact me if you have any problems or have more questions about this process as it can be confusing. For a $63 billion company, Uber’s referral tracking system is pretty sad. I often joke that I give my own affiliates over on my video course more robust tracking capabilities, but it’s also true. Personally, I’ve never had much success with Uber’s tracking features, but I can give you some tips on the process. Their name should also show up in the ‘Invites’ tab on your partner app or the ‘Track Invites’ tab on the partners.uber.com dashboard (pictured below). One cool thing about this dashboard is that it allows you to see the full name of the driver you referred, their status, the city they’re in, the potential reward amount and most importantly the remind button that gives you their e-mail address. This dashboard has never worked properly for me, but if you have just a few referrals to manage, you could easily stay on top of the progress of all your referred drivers and ensure that you both get a sign-up bonus. I actually have a very low conversion rate on drivers that I sign up since I can’t follow up with them. Only about 5-10% of the drivers I sign up through my site actually finish the process on their own and complete the required number of rides to get a sign-up bonus. I’ve found that a lot of drivers get caught up with the application, don’t pass the background check or just don’t follow through. Ultimately, the Uber referral program can be lucrative for referring drivers and prospective drivers, but you have to make sure you stay on top of your referrals. There are a lot of terms and regulations that aren’t always published but as long as you get everything in writing, you should both get paid! 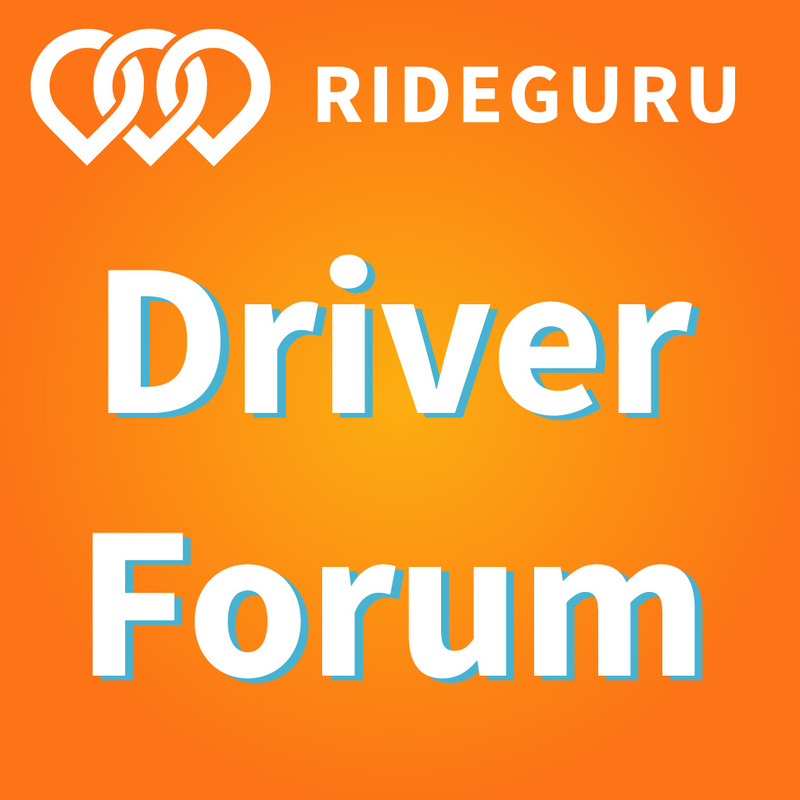 Are the bonus amounts the same for the new driver and the referring driver? Will you (Harry/RSG) split your referral bonus with me? No. We depend on revenue sources like driver referrals in order to run the site and it allows us to give away 99% of our content for free. So if you’d like to support the site, please considering using our referral link to sign up to drive with Uber or you can help by signing up with one of our other partners. That being said, if you’re in a city where the new driver (you) receives $0 and the referring driver (me) receives a bonus, please e-mail me and we’ll see what we can do. Drivers, what do you think about Uber’s referral program and have you had problems with it or have you been able to make it work to your advantage?